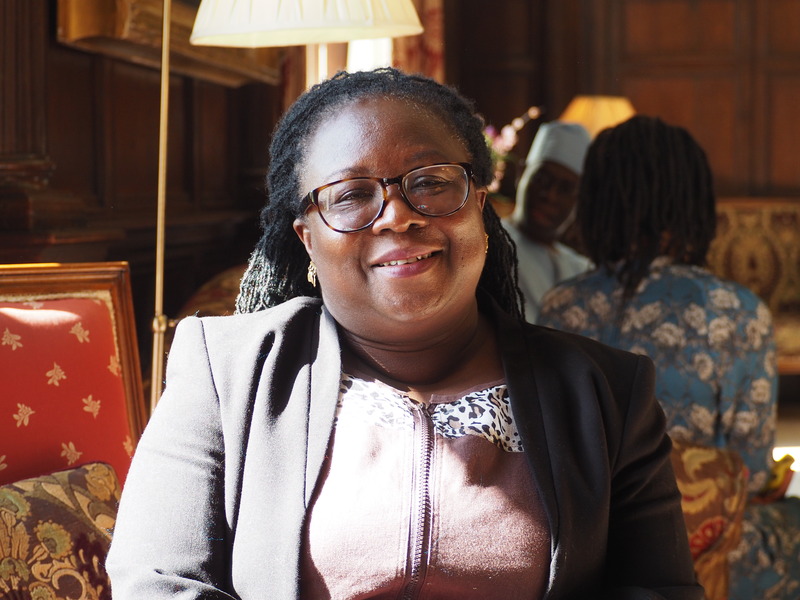 Wilton Park, in collaboration with the Social Science Research Council’s African Peace building Network (APN) and the African Leadership Centre (ALC), organized and hosted a conference on “African Peacebuilding: Sustaining Inclusive Civil Society Engagement” in the United Kingdom from March 19–22, 2017. The three-day conference was supported by the Carnegie Corporation of New York. The conference was the third of four in a series of collaborative events, with this event following two prior conferences: “Peacebuilding in Africa: Evolving Challenges, Responses, and New Thinking,” held in February 2015, and “Conference on Peacebuilding in Africa: Developing African Approaches,” held in March 2016. The previous conferences in the series have assessed the progression of African approaches to peacebuilding in response to the changing dynamics of conflict actors on the continent. The primary purpose of this conference was to raise awareness of the obstacles and evaluate advancements for inclusive peace building focusing on the role of (empowered) African civil society organizations in mediating state and society relations and to develop further findings of, and allow policy makers, practitioners, and civil society actors to respond to, issues raised during the previous two Wilton Park meetings in the series. The conference brought together scholars, researchers, policy analysts, and practitioners in the field of African peacebuilding to engage in a series of high-level dialogues with the intention of providing a forum for African perspectives toward policy development. The series of conferences provides an opportunity for organizers to consolidate strategies, underscore new African thinking on peacebuilding, and to make more visible the knowledge disseminated through them. Beginning on March 19th, Professor Myles Wickstead, a member of the Wilton Park Advisory Council and Acting Chief Executive (Designate), delivered opening remarks. The introductory session also featured speeches from Dr. Comfort Ero, International Crisis Group’s Africa Program Director in Nairobi, and Mr. Boitshoko Mokgatlhe, the Head of the Sudan and South Sudan Unit for the African Union Commission in Addis Ababa, Ethiopia. Both APN Alumni and current grantees were in attendance. APN Alumnus Professor Audrey Gadzekpo (IRG 2014), Dean and Associate Professor at the School of Communication and Information, University of Ghana, Accra, chaired a session on “Case Studies: The Role of Civil Society across Regions.” This session first explored the fundamental question: How should we define civil society, and who is included within this definition? Professor Gadzekpo highlighted that Ghana has received a great deal of praise for its peaceful elections, but that this peace was not coincidental. The Ghanaian government has always placed high importance on civil society engagement. The panel then discussed that even peaceful elections do not always guarantee good politics. APN grantee and lead investigator for a Collaborative Working Group (CWG) Professor Diana Gibson (CWG 2016-2018) and APN Alumnus Dr. Kizito Sabala (CWG 2014-2016) both participated throughout the conference as well. APN Advisory Board Chair Professor Ismail Rashid served as a head discussant during the session on the topic of “Youth, Peace, and Security: Review and Implementation of United Nations Security Council Resolution (UNSCR) 2250” and served as the expert lead for “Moving Forward: Roles and Responsibilities,” a breakout group focused on the Mano River region. Additional breakout groups addressed Somalia and the Horn of Africa, Mali and the Sahel, Burundi and the Great Lakes region, and the Sudans and Central Africa. These smaller discussion groups were facilitated by regional experts to evaluate comparative case studies, in order to propose new programs, action plans, and strategies that are tailored to the context of each country and conflict. APN Advisory Board member Professor Pamela Mbabazi chaired a session on “The Impact of Emerging Non-State Actor Groups.” This session challenged participants to expand from and add nuance to the general argument—that people are joining extremist groups because of poverty—citing middle and upper class members of al-Shabaab and Boko Haram as evidence. Former APN Advisory Board Member Dr. Awino Okech served as a head discussant during the session on the topic of "Gender dynamics in peace and conflict". Several other panels addressed the role of civil society regionally, collaborative action and how to bridge sector divides, gender dynamics in peace and conflict, and the adoption and impacts of sustainable finance. Discussions emphasized the need to expand the range of people, especially to include more women and youth, directly involved in peace negotiations. They also explored how to overcome the privatization of the peacebuilding sector; how to manage roles of regional, national, and international actors; and how to include new actors and incorporate technological developments in the design of peacebuilding policy going forward. Professor Myles Wickstead also chaired the closing session, on “Conclusions, Commitments and Continuity.” APN Program Director Dr. Cyril Obi delivered closing remarks alongside Professor ‘Funmi Olonisakin, Professor of Security, Leadership and Development, King’s College London and founding Director, African Leadership Centre (ALC). During the closing remarks, Dr Obi called attention to the important role of information and called for additional research to address existing knowledge gaps in relation to civil society’s engagement with peacebuilding in Africa. He also called for greater documentation and dissemination of such knowledge, as part of the practical steps towards connecting research to peacebuilding policy and practice in Africa. Dr. Stephen Del Rosso, Program Director, International Peace and Security, Carnegie Corporation of New York challenged participants to see the arc of what has been learned from this event and the two prior, and then to explore how to shape peacebuilding to become prevention of future conflict. 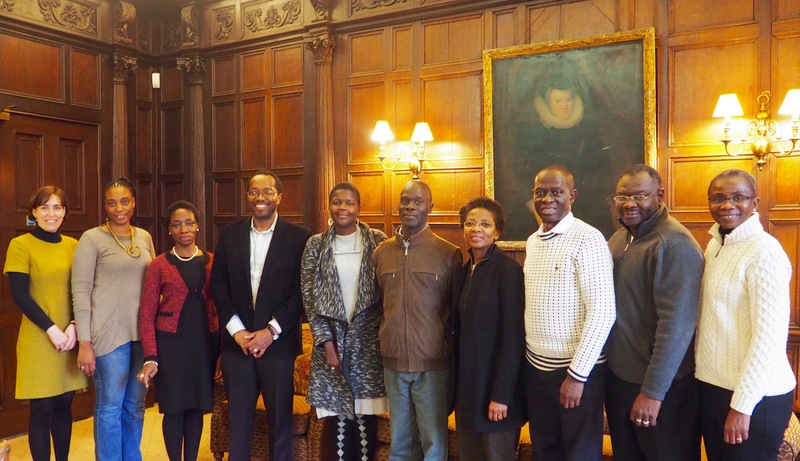 Following the conference, a group of participants met for an additional day to convene a publication meeting, organized by the African Peacebuilding Network and the African Leadership Centre (ALC). The forthcoming publication is intended to serve as a handbook for members of the peacebuilding field and to fill the gaps left by current publications on the subject, and will include both case studies and formal theoretical scholarship on major themes in the field of peacebuilding. See photos from the event on the APN's Flickr.